The Final Judgment, which will take place at the end of History, is normally considered as a moral judgment. That is, as something like a more expanded version of the particular judgment that each individual has after he dies. Certainly this is a valid conception. Here, however, I would like to consider another aspect of the Final Judgment in the vision of the whole that it represents. Because in a single act it will be possible to know everything that has taken place in History and to understand that the victor—the winner of History—will be Our Lord Jesus Christ. The Final Judgment will be, therefore, an act of glorification of Christ Our Lord. A theophany of Him. How is it possible for only one act and only one ceremony to contain the vision of the whole of History? Everything that exists in the created universe, having been made in the image of God, can be reduced to a single synthesis capable of being understood and loved. As it is with the created universe, so also it is with History. There is a certain architectural plan in the whole of the created universe and of History that can be expressed by laws and principles. Let me give an example. Architecture is considered the queen of all the arts because all the arts are contained in it. If we imagine a gothic cathedral, we have first the architecture of the cathedral itself with its own rules that explain the edifice. Afterward, we find on its walls stained glass windows, an art in itself. We have sculptures of marble and rare stones that ornament the altars, and the less noble stones in which were built the columns, ceilings, and threshholds. There were also the statues of Our Lord, Our Lady, the Angels and Saints that enrich altars and places of relief in the cathedral. We have the rich paintings on the columns, walls and ceilings, because the cathedrals were originally painted. There were also pictures that were placed above the doors or on the altars. We have the art of mosaic tiles that were placed on the floor of the Church. There is the masterfully carved wood of the altars, chairs, pulpits, confessionals, doors, and staircases. We have the silver and gold works of chalices, ciboriums, patens, censors, cruets, and candelabras. We have the elaborate ironwork of the doors and beautiful gratings. We have the precious materials of the solemn vestments of divine worship, the draperies for feast days, the curtains, the fine altar linens. We have the bells, the organ and the choir that allowed us to hear the beautiful music and chants. Beyond all these material objects in the cathedral, there were mainly the Bishop and the priests offering to God the Sacrifice of the Mass, carrying out the various ceremonies of divine worship and administering the Sacraments. 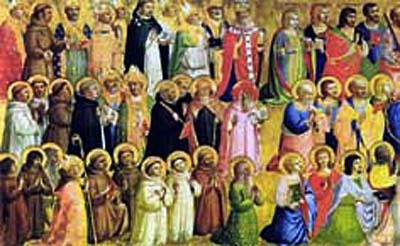 There were also preachers exercising their oratory and magisterium, and the faithful raising their prayers to heaven. One sees, therefore, that the architecture of the cathedral embraces all the arts and, in a certain sense, even the Mass, the divine worship, the sacraments, the magisterium, and the piety of the faithful. For this reason, architecture is called the queen of the arts. It is the art that best symbolizes the whole. In a similar way, there is a certain architectural structure in the whole of material creation and of History that contains everything that exists and everything that has passed. 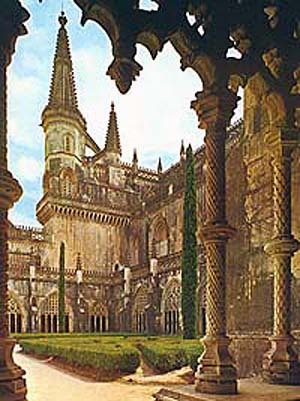 Just as I gave the example of the cathedral embracing all the arts, it would be possible to show how the whole of material Creation contains the most complete synthesis of truth, the highest expression of goodness and the most refined form of beauty, characteristics that reflect God and glorify Him. However, even nobler than the consideration of the material universe is the universe of men and angels, who even more perfectly reflect God, because men and angels are creatures gifted with free will and capable of loving God. The voluntary love that a creature renders to God is a reflection of the divine likeness and glorifies God more than the simple image of God reflected in material creation. Therefore, the most important thing in the Universe is the history of the love of God for men— and the history of the responses that men have made to this love. The most important aspect in the contemplation of God is to evaluate the whole of the history of His love and of the response to it. In my opinion, the noblest spiritual activity that a man can realize is to contemplate the whole of the divine action throughout History and to try to discern the elements of unity that exist there. If this is true, at the Final Judgement, in only one ceremony we will see the plans that God established for men, for peoples and for historical eras. We will understand how such plans were realized totally or partially due to the responses of men. And we will see the glorification of the Word Incarnate, triumphant over the devil and the men who opposed the plans of God. Thus, the Final Judgment will have the character of a universal theophany of a militant nature. Perhaps it is for this reason that St. John in the Apocalypse portrays Our Lord as One who comes mounted on a horse, armed with sword, ready for the final battle. In this decisive battle, He will defeat the Antichrist, Satan and the false prophet. After this battle, the Final Judgment will begin. I present this picture of the Final Judgment with the aim of stimulating North American traditionalists to study and love the laws and the principles that govern History in the analysis of the plans of God. Since it is impossible to present here all of these principles and laws, I will restrict myself to pointing out only one of the laws that explain the divine action in History. It is the law of the remnants. Among the religious families who enrich the Holy Church with diverse vocations, the Carmelite Order has the special mission of contemplating the whole of History. Certainly the beginning of this mission lies with the fact that its Founder, the Prophet Elias, lived in a particularly difficult epoch in the Old Testament. After Elias fulfilled his first mission on earth, he was retired from the world in order to return to confront the Antichrist. He is, therefore, a special man who had a past vocation and who will have a future vocation. At present, according to private revelations, he is in Paradise studying what is happening on earth in order to prepare for his second coming. Because of this extraordinary mission, he is a man who in some way is identified with the whole of History. It is comprehensible, therefore, that the sons of Elias, the Carmelites, have an analogous vocation to contemplate History taken as a whole. Some Carmelite commentators have enunciated one of the basic laws of divine action, they call it: “The remnant shall be returned,” Residuum revertetur. They explain saying that the plans of God, apparently destroyed by the action of the devil and the evil of men, will continue through the fidelity of some few who will remain faithful. In fact, if we stop to consider certain epochs that were especially unfaithful to the divine plan we will see that the law applies. After original sin and the establishment of Adam outside of Paradise, the number of men on earth grew rapidly. After some time, there was an epoch of prosperity in which a race of giants, particularly given over to Satan, managed to lead all the peoples to reject the divine plan. The German religious of the last century, Anna Catherine Emmerick, who had many revelations about these times, describes the conspiracy of this race of giants with interesting details. She says that the devil revealed many secrets of nature to these giants. Then, by means of instruments similar to the television, they could observe the other distant peoples, analyze their customs and plot the loss of their souls. Be it true or not, the fact is that Sacred Scripture tells us that God was so upset by the situation prior to the Deluge that He repented of having created mankind. The fidelity of Noah appeased the divine wrath and gave continuity to the initial plan that had been rejected. The sons of Noah spread throughout the world. The sons of Sem, the sons of Japhet, and the sons of Cam. Among these, the Semites, the sons of Sem, were especially pleasing to God. However, after some time, under the leadership of the Semites there was a new revolt against divine plans, the construction of the Tower of Babel. As you know, this tower was intended to be a symbol of the independence of man in relation to God. It was something like the present day United Nations. God punished the pride of the peoples and confused the languages, preventing this bad plan from being realized. A sound tradition tells us that the fidelity in this epoch was sustained by Heber. Heber repeated the fidelity of Noah. As a reward, the promise of the divine plan was transmitted to the future by means of him. The language spoken before the Flood, according to the same tradition, was maintained entirely by Heber, who did not suffer the chastisement. From him came the Hebrew language. The same law continues to be verified. The sons of Heber spread and became decadent. When all seemed lost, the fidelity to the divine plan was maintained by Abraham. With Abraham God would no longer call all of humanity but chose only one people. Abraham left Mesopotamia and established himself in Canaan. His sons strayed, but the fidelity was maintained by Joseph, who was rejected and sold into slavery by his brothers. The punishment for this rejection was the captivity of the Chosen People by Egypt. God freed the elect people by means of Moses, who led them to the Promised Land. The people rejected God, and only Joshua remained faithful. The twelve tribes of Israel, established in the Holy Land, achieved the apex of their glory with David and Solomon. However, in the next generation the decadence began. This decadence had highs and lows, and ended in the almost complete apostasy of the people and the fidelity of Mathathias and his sons – the Maccabees. With them was the remnant that returned to the divine plan. The successors of the Maccabees, in a certain way, were the Essenes. The Essenes became decadent, and only a remnant of them maintained the fidelity to the divine plan. There were St. Joachim, St. Anna, Simeon, Zacharias, Saint Elizabeth, St. John the Baptist, and above all the Holy Family. The plenitude of the times arrived with the birth of Our Lord. It is very interesting to consider that the plenitude of the times, before God, did not take place in an epoch of general fidelity, but amid the fidelity of only a remnant. With the Incarnation of the Word, by means of the fidelity of Our Lady, the same law was written with letters of gold. The New Testament began with the infidelity of the Jews and with the new call to all the Gentiles. In response to the appeal of the Apostles and as a fruit of the blood of martyrs, a Greek Christendom was born in Byzantium with Constantine and a Roman Christendom in some parts of Europe. Both of them were maintained by the Church Fathers. But their duration was not long lasting. Innumerable Catholics who left the catacombs were soon embracing heresies. After great struggles and persecutions, the brief Roman Christendom was destroyed by the barbarians in the fifth century. The major part of Greek Christendom was destroyed by the Muslim Arabs in the sixth century. Although Rome fell under the chastisement of God, by the violence of the successive barbarian invasions, a remnant stayed faithful. The outstanding figure of this remnant was St. Remigius. From his fidelity came the conversion of Clovis, the Franks and the beginning of medieval Christendom. 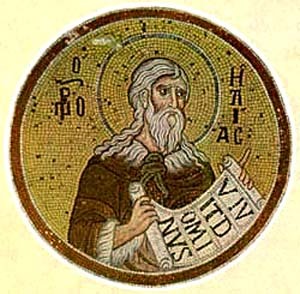 St. Athanasius, a century before, fleeing the semi-Arian persecution, would bring to Rome the seed of a new model of religious life, monasticism. This seed would germinate in St. Benedict of Nursia and would give birth to the Benedictine order, largely responsible for the two religious reforms that gave shape to the Middle Ages. There was also St. Augustine who left another seed that would germinate: it was his great work The City of God. This book was taken by Charlemagne as the fundamental book that oriented him in the institution of the new Empire. Thus we have in St. Remigius, St. Athanasius and St. Augustine the same law of the remnant that returns to fulfil the plan of God. From the height of the Middle Ages to our days, the Catholic Church and Christian Civilization has suffered the offensive of the revolutionary conspiracy. Three great revolutions shook the stability of the Reign of Christ: the Protestant Revolution, the French Revolution, and the Communist Revolution. The germs of these three revolutions have penetrated into the Holy Church and, by a strange paradox, today there are ecclesiastics who promote the most advanced strains of the Revolution. The apostasy of Hierarchs, Clergy and the faithful has reached unimaginable proportions. Those who are faithful are reduced to a small remnant. This small remnant is formed in part by those who are here present. My message to you is this: Do not think that we are isolated, smashed, without the possibility of doing anything. We have behind us thousands of years of History of the Old and New Testament in which the same law of the remnant is verified. We are the remnant of medieval civilization. And we are the seed of a new era. We have before us a glorious future that will be the Reign of Mary. After this, there will be a decadence and the end of the world will come. 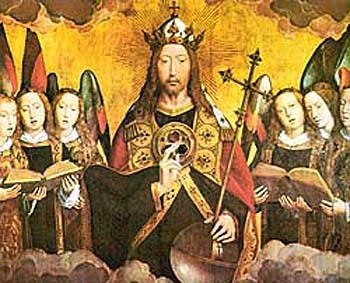 In the Middle Ages, the one who found himself in a position similar to that of our times was Saint Remigius, who saw the end of the Roman Empire and the beginning of the Reign of Christ installed over the earth. At the end of the world, the ones who will be in an analogous situation to ours are the Prophet Elias, the Prophet Enoch and those few who will remain faithful. They will see the end of the Reign of Mary and the beginning of the Celestial Jerusalem. We are in an epic historic position. If we extend one hand to the past we will find the hand of St. Remigius. If we extend the other hand to the future, we will find the hand of the Prophet Elias. We are the present remnant that can support itself on the past remnant and on the future remnant. Within this broad perspective of History and the glorification of Our Lord Jesus Christ, I am pleased to transmit here one of the important laws that governs the plans of God, the law of the fidelity of the remnant. Residuum revertetur! The remnant shall be returned! The remnant shall once again conquer!